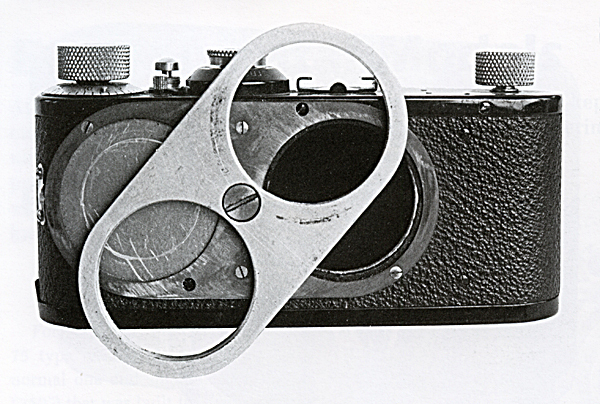 It is often said that the Leica was the first 35mm camera. However, that does require some qualification. If we look at cameras from the prototype stage, the Leica was there almost from the very beginning. While a fair amount is known about the Leica, any similar information is almost impossible to obtain about most other cameras. Therefore it is a lot more accurate to look at cameras from the date they were actually introduced to the photographic market. 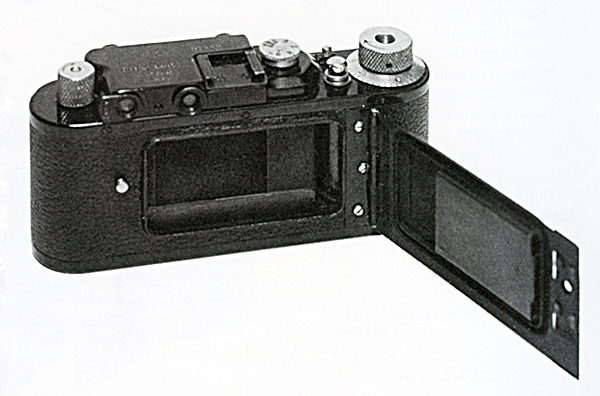 In this regard there are several cameras that preceded the Leica. 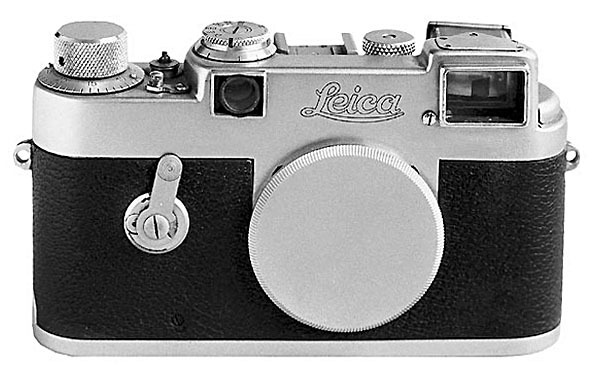 The credit to have established 35mm photography as we know it goes without a doubt to the Leica. It was of a revolutionary design and practicality that eluded all the early 35mm cameras to the point that the only thing they had in common was the fact that they utilized 35mm motion picture film. 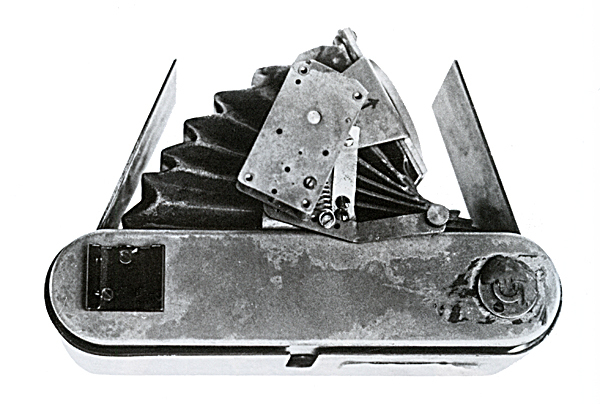 In their infancy motion picture cameras used a large variety of different films and types of perforation. As a matter of fact, even photographic plates were used at one time. These were carefully fastened in wooden frames, connected between two leather belts with grommets. which had the same function as the film perforation. This was the invention of a Scottish gentleman. The system worked, but it was very prone to failure and ultimately, while working in principle, was way ahead of its time. This was at the middle of the 1800s, and we had to wait until the end of that century before practical motion pictures did reach the market. 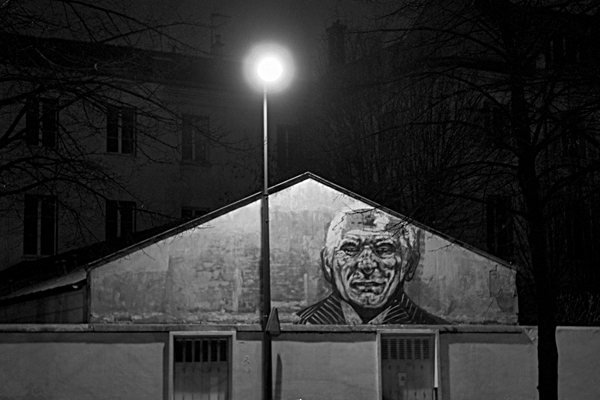 Here the main credit goes to the Lumiere brothers in France and Thomas a. Edison in the US. 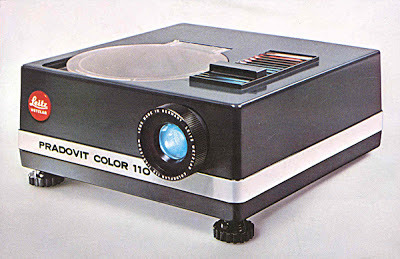 Both used perforated film material to assure proper handling of the film within the camera and projector. 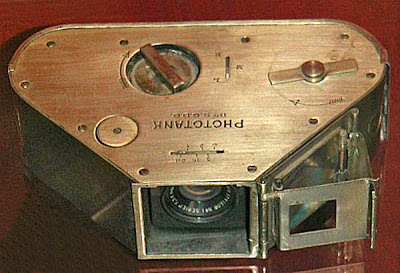 However, while Edison used a small, enclosed viewing device, accessible to only a couple of people at a time, the Lumiere’s were the first to project film onto a large screen in a theater. 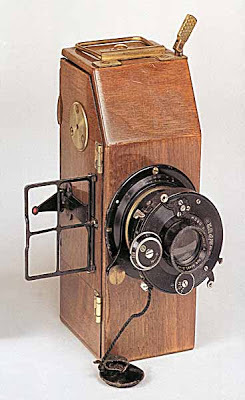 The 35mm film as we know it today came about upon the initiative of Edison and George Eastman of Kodak. They both realized that the multitude of different film formats and perforation arrangements needed to be standardized. They decided on the 35mm film format with perforation on both sides of the film and a motion picture image of 18mm x 24mm. 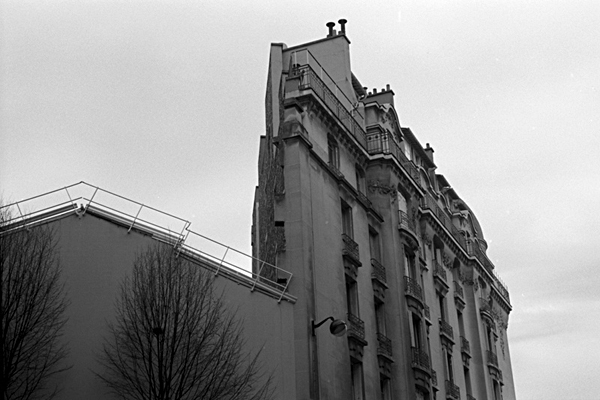 These films proved to be of a rather good quality, far better than the glass plate material available at the time for still photography. Thus it should come as no surprise that some people rightly figured that the same film should be useful for standard still photography as well. All that was necessary was a suitable camera. 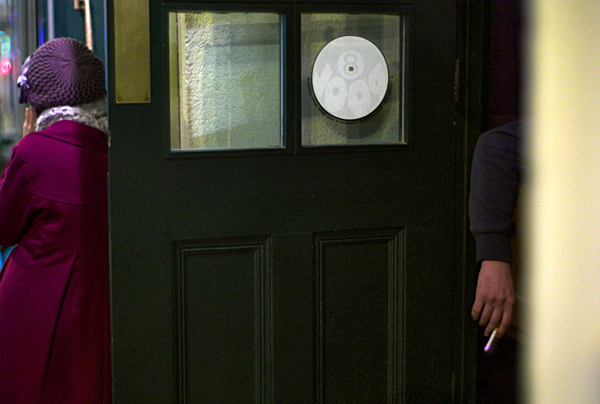 Just as the film was spun off from motion pictures, the cameras used the same path. 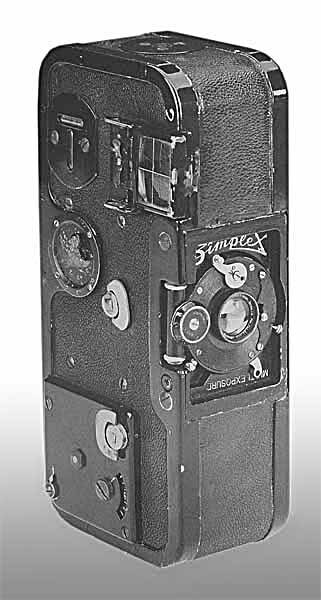 Virtually all of the early 35mm still cameras were essentially no more than motion picture cameras, converted for single frame operation. As a matter of fact, some even used unperforated 35mm film to allow for a larger image size. In those cases the film was made with a paper backing like conventional roll film. 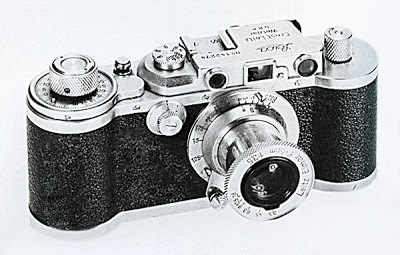 The cameras that did use standard 35mm film initially all utilized the 18mm x 24mm image size or something quite similar. This shows the great farsighted ness of Oskar Barnack, the inventor of the Leica. Even his prototype camera, the so called Ur-Leica did away with any of these conventions. Rather than running the film vertically, like in all motion picture cameras, he decided to run the film horizontally. This allowed for a twice as large 24mm x 36mm image size which was to become the standard of the industry. 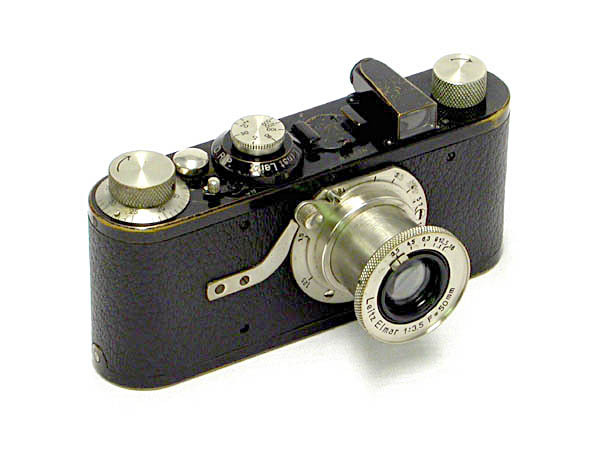 In spite of the large image size, the camera was substantially smaller, which is another reason for the later success of the Leica. One of the earliest examples of a 35mm camera was the Tourist Multiple from 1913. It was made by the Herbert & Huesgen, New Ideas Mfg. 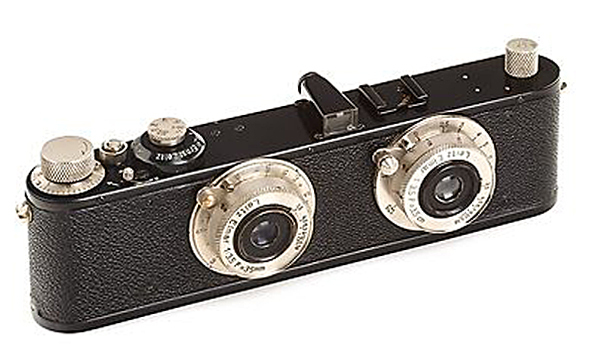 Co. in the US and was the first commercially produced 35mm camera ever. 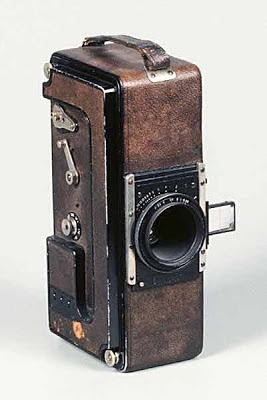 The camera used a 50 foot magazine for the film which allowed 750 half frame 18mm x 24mm exposures to be made. The Tourist Multipel was soon followed by the Simplex in 1914, made by Multi Speed of New York. This camera too used the half frame format and utilized enough film for 800 exposures. Needless to say, because of the great length of film, these cameras were rather large and heavy. 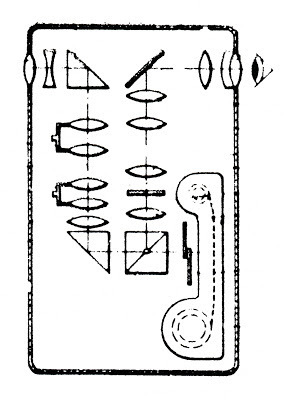 It wasn’t until 1915, when Levy Roth introduced the Minigraph in Austria, that film length became a lot more manageable. 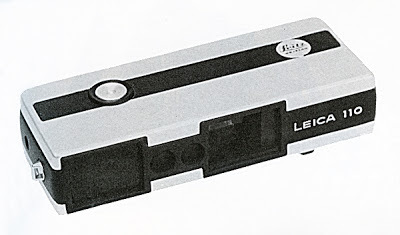 The Minigraph used film for 50 exposures in special cassettes. But this camera too followed the motion picture cameras with its half frame format. Another camera with a 50 half frame capacity was the Le Phototank from 1922. 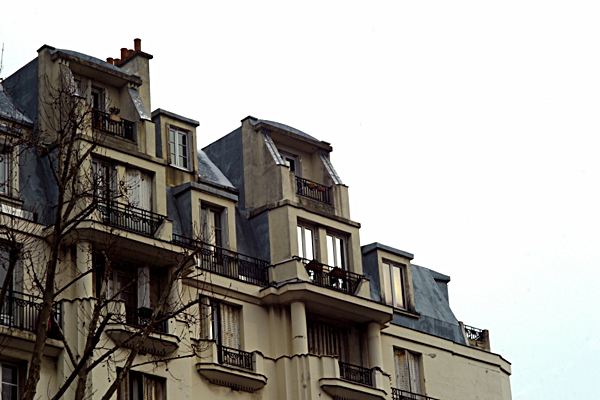 It was made by Victor Houssin in France. 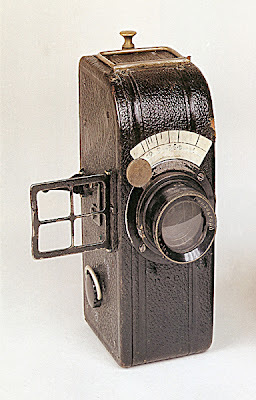 Another camera from 1922 was the Sico, madeby Simons & Co in Switzerland. The Sico took a different path by utilizing unperforated 35mm film. 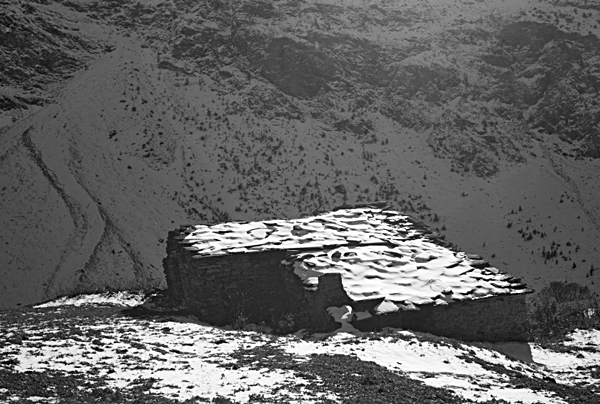 This allowed for a much larger 30mm x 40mm negative size with a capacity of 25 exposures. 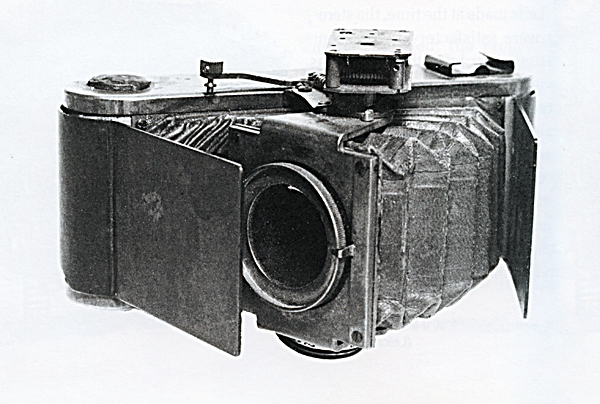 These cameras were followed in 1923 by the Sept. It was made in France by Debrie. 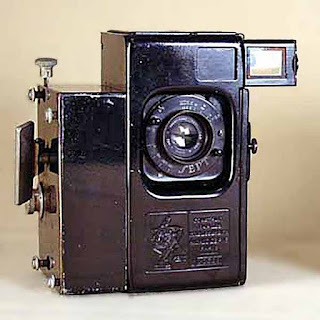 The camera was equipped with a spring driven motor which essentially made it a motion picture camera with a still frame feature. 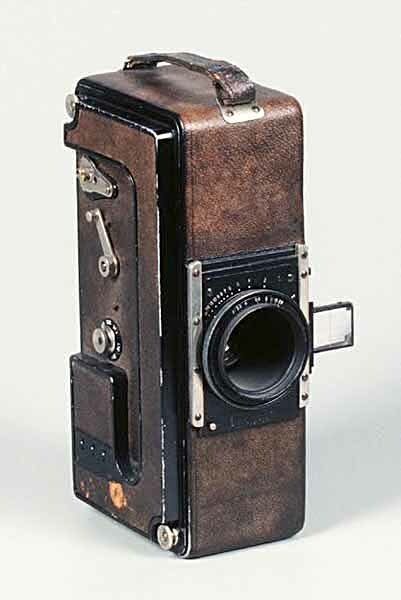 Even though the camera itself was relatively compact, it was very heavy and not very comfortable to use. Thus it was not surprising that the Leica created quite a sensation when it was introduced at the Leipzig Spring Fair in 1925. 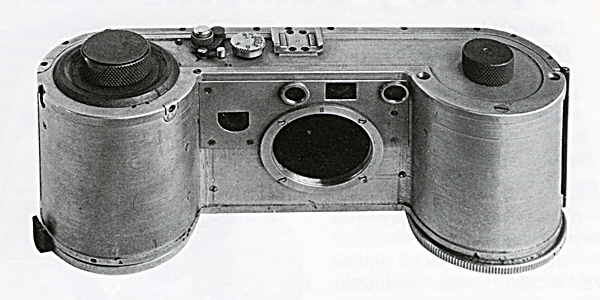 The camera was substantially smaller and lighter than anything seen before. In addition the camera used the 24mm x 36mm full frame format which assured noticeably better results. 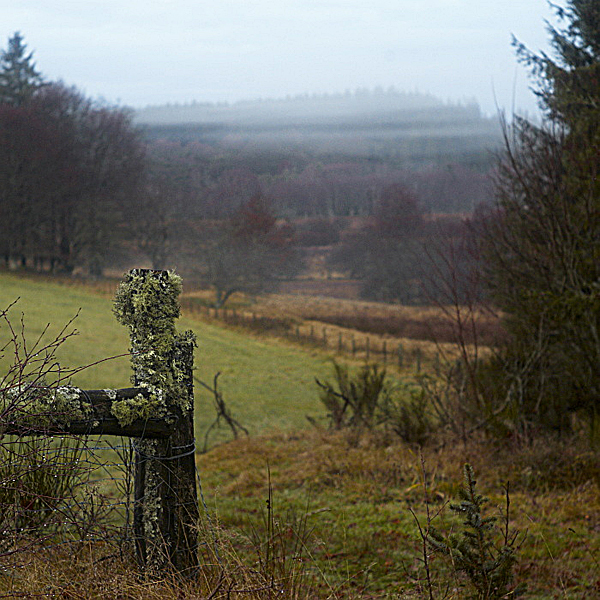 This was further enhanced by the outstanding performance of the 50mm f/3.5 Anastigmat lens. 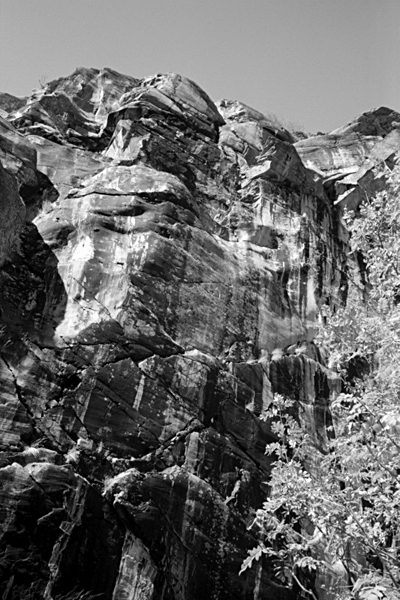 The camera quickly gained acceptance by a wide range of photographers from professionals to amateurs. 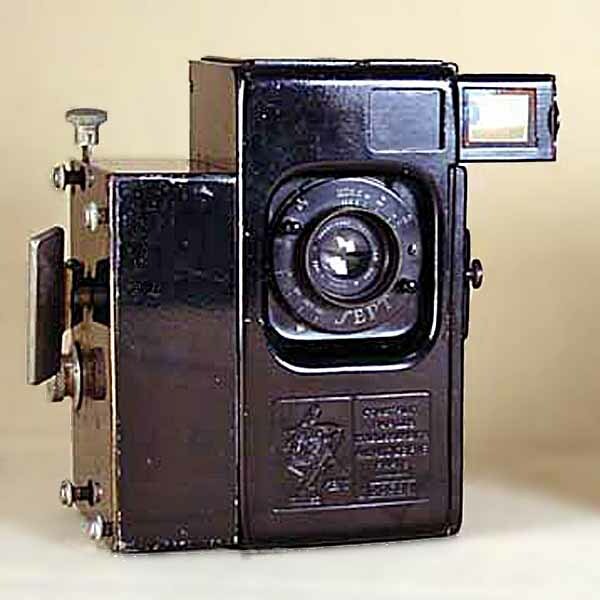 Finally there was a camera that was easy to use and, because of its diminutive size, easy to carry. 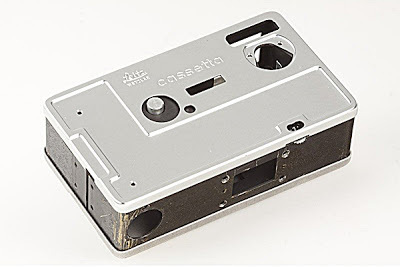 It was this camera that put 35mm photography on the map, so to speak. 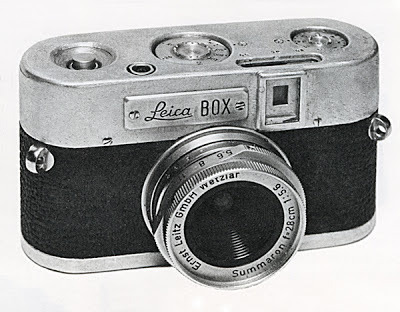 As a matter of fact, the Leica influenced photography to a much greater extent than any other camera before or after. Photography as we know it today simply would not have happened without this camera. One of the advantages of the Leica M series cameras is that they are able to utilize the older Leica screw mount lenses with an adapter. 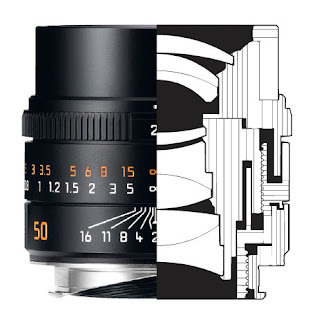 Not only does this greatly increase the choice of Leica lenses that are at the photographer’s disposal, it also allows the use of a large variety of lenses made by other manufacturers like Zeiss, Nikon and Canon for instance. Today’s gallery is dedicated exclusively to the use of non-Leica lenses on M cameras. French photographer Solenn Herviouet uses a variety of these lenses for his daily work. All of today’s images were taken by him. This is an invitation to join the LHSA in South Florida April 17-20 for the 2013 Spring Shoot! See the attached flier, Schedule of Events, and Registration Form for details. The headquarters hotel will be the Riverside Hotel on Las Olas Boulevard in Ft. Lauderdale. The highlights of the event will be a visit to the new Leica Store and Gallery in Coral Gables, a street photography workshop with Justin Stailey of Leica Camera, and a presentation by documentary photographer and Leica Medal of Excellence recipient Maggie Steber. Hotel reservations and registration for the event with the LHSA office should be completed by Friday, March 15. We hope you will make plans to attend. Please contact the office if you have questions. Neuer Kult um Leica: Vor 100 Jahren revolutionierte die Nobelfirma aus der hessischen Provinz die Fotografie. Heute erobert sie ein zweites Mal die Welt. Was nach übersteigertem Liebesrausch klingt,sehen Leica-Enthusiasten als Normalfall. Für Fotoapparat und ein bis zwei Objektive geben sie ganz selbstverständlich den Gegenwert eines Kleinwagens aus. 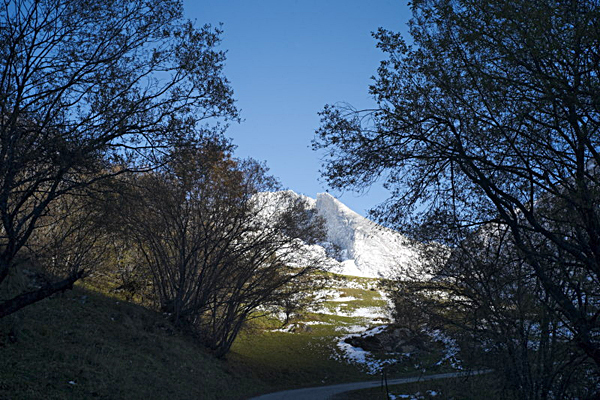 Sie warten trotz Premium-Preis die Lieferzeit von bis zu sechs Monaten ohne Murren ab. Und wenn Leica ein neues Modell ankündigt, wie vergangenen September eben diese M, dann tragen sich Fans blind in die Warteliste ein – obwohl es noch keinerlei Tests gibt. Leica ist Kult – und kann es sich deshalb leisten, deutlich anders und dramatisch teurer zu sein alsNikon,Canon,Sony& Co. Während die Marktführer aus Fernost mit riesigen Entwicklungsabteilungen aufs Innovationstempo drücken, schätzen Leica-Fans die traditionellen Werte ihrer Marke, bei der Handarbeit und das Prädikat made in Germany Qualität signalisieren. Keine andere Firma verfügte wohl über die Chuzpe, mit der M Monochrom eine Digitalkamera herauszubringen, die ausschließlich in Schwarz-Weiß aufnehmen kann und 6800 Euro kostet. Aufsichtsratschef Andreas Kaufmann vergleicht die Lage des Unternehmens mit der in Asterix-Comics: „Wir sind das kleine gallische Dorf“, sagt der Österreicher, der mit seiner Investmentfirma ACM Mehrheitseigner ist. Den Weltmarktanteil der Edelkameras aus der hessischen 13 000-Einwohner-Stadt Solms beziffert er auf 0,15 Prozent. Vor 100 Jahren war das ganz anders: Im Nachbarort Wetzlar wurde das Massenphänomen Fotografie geboren. Weil dem asthmakranken Entwicklungschef der Leica-Vorgängerfirma Leitz, Oskar Barnack, Rollfilm- und Plattenkameras zu groß und zu schwer waren, tüftelte er an einem Mini-Fotoapparat. Der begeisterte Naturfotograf befüllte ihn mit Kino-Rohmaterial: 35-Millimeter-Filmstreifen. So entstand um 1913 die erste Kleinbildkamera der Welt. 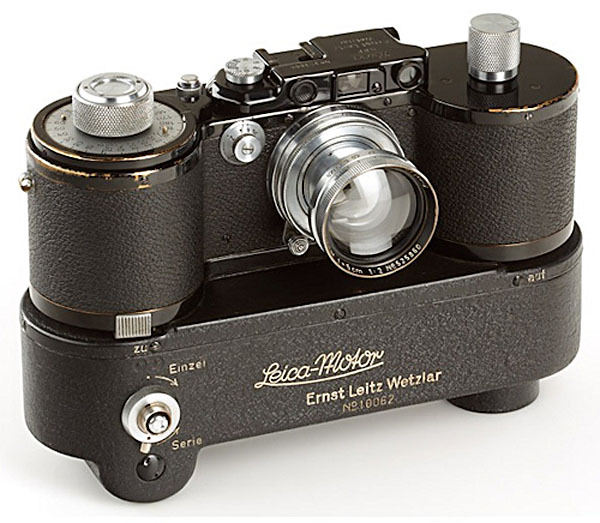 Die Leica-Tradition steckt heute in der M-Serie, der umsatzstärksten und populärsten Kamera-Familie aus Solms. Legendäre Aufnahmen wurden mit M-Modellen geschossen – etwa das bekannteste Porträt des Revolutionärs Che Guevara und das weinende, nackte „Napalm-Mädchen“ im Vietnamkrieg. • Vollautomatische Belichtung? Gibt es nicht. Leica-M-Fotografen drehen wie eh und je am Blendenring. • Autofokus? Undenkbar. Die Schärfe wird manuell eingestellt – mit Hilfe eines Mess-Suchers, dessen Prinzip noch vor dem Siegeszug der Spiegelreflexkameras entstand. 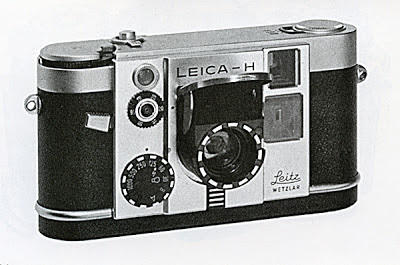 Durch ihn sehen Leica-Künstler auch nicht den wahren Bildeindruck. Den Ausschnitt kennzeichnen eingeblendete Rechtecke. Je nach Brennweite des Objektivs ist ein anderes Rechteck gültig. • Vergrößerungsstarke Tele- und Makro-Objektive? Die sind technisch unvereinbar mit dem Mess-Sucher. Weil die neue M erstmals eine Live-Vorschau auf dem Display bietet, wird ihr Einsatz immerhin eingeschränkt möglich. Die Fan-Gemeinde liebt diesen Purismus. Bei Wolfgang Hagen fing es mit einer analogen M6 an. „Ich hielt die Abzüge in der Hand und dachte: Wie habe ich die letzten 25 Jahre eigentlich ohne Leica fotografiert?“, erzählt der selbstständige Ingenieur aus Wachtberg bei Bonn. Der 49-jährige Freizeitfotograf besitzt zwar auch Profi-Ausrüstungen von Hasselblad und Nikon – für alles, was seine sechs M-Modelle nicht können. „Aber die Qualität der Leica-Objektive ist unerreicht“, sagt er. Die besten Objektive der Welt – mit diesem Ruf behauptet sich Leica seit Jahrzehnten gegen die Übermacht aus Fernost. Und schrammte dennoch nur knapp an der Insolvenz vorbei. Als digitale Sensoren den Film ablösten, hatten die hessischen Traditionalisten nicht viel zu bieten. „Die Digitaltechnik ist nur ein Intermezzo“, verkündete noch 2004 der damalige Vorstandschef Hanns-Peter Cohn trotzig. „Wir haben die Digitalisierung nicht verschlafen“, stellt Produktchef Stefan Daniel klar. „Am Anfang konnten nur die Großen in der Branche das entsprechende Know-how aufbauen.“ Und die hätten es zunächst exklusiv für ihre eigenen Kameras genutzt. 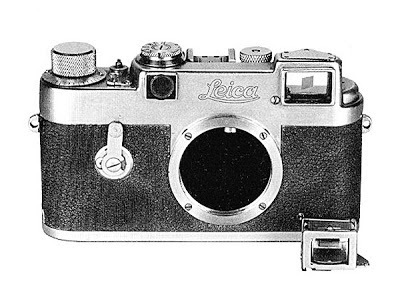 Hinzu kam ein Leica-spezifisches Problem: Das Kernprodukt, die M-Serie, galt wegen seiner zierlichen Objektive als nicht digitalisierbar. Durch ihre Linsen fällt das Licht sehr schräg ins Gehäuse – kein Problem für Film, aber für die ersten Sensor-Generationen. Erst 2006 erschien die M8, die digitale M-Premiere, die aber technisch unter den Möglichkeiten der Konkurrenz blieb – gefolgt von der verbesserten Version M9 im Jahr 2009. Ohne Andreas Kaufmann hätte Leica diese Zeit wohl nicht überlebt. Nachdem er im Sommer 2004 mit seinem Unternehmen ACM zunächst ein Viertel der Anteile übernommen hatte, pumpte er offenbar mehrere Dutzend Millionen Euro in die Firma. Zahlen nennt er nicht. Die Unternehmensstrategie erinnert nun bisweilen an die von Apple: Wie der iPhone-Hersteller eröffnet auch Leica edle Stores in den besten Lagen der Weltmetropolen mit zahlungskräftiger Kundschaft – zum Beispiel in Berlin, Paris, Moskau, Kiew, New York und Shanghai. Wie beim iPad hat Leica die Versionsnummer bei der M-Serie abgeschafft. Die neue Generation heißt einfach M und nicht wie bisher weiter addiert M10. • In Woody Allens Film „Vicky Cristina Barcelona“ entdecken Scarlett Johansson und Penélope Cruz die Stadt durch den Mess-Sucher einer Leica M.
• „Wetten, dass . .?“-Moderator Markus Lanz schrieb im FOCUS-Fragebogen, eine Versuchung seien für ihn eine neue Leica und das dazu passende Objektiv. • Die Popstars Mick Jagger und Eric Clapton gehören zur Leica-Gemeinde wie die Schauspieler Brad Pitt und Kai Wiesinger. Der Kult befeuert das Geschäft: Im vergangenen Geschäftshalbjahr wies Leica 22 Millionen Euro Gewinn aus. Die Belegschaft in Solms und im portugiesischen Werk (zusammen 1200 Angestellte) wächst. Auch Leica-Nutzer profitieren vom Aufschwung: „Ich besitze Objektive, für die ich bis zum Dreifachen des Kaufpreises bekommen könnte, weil sie nicht mehr hergestellt werden“, erzählt Ingenieur Hagen. 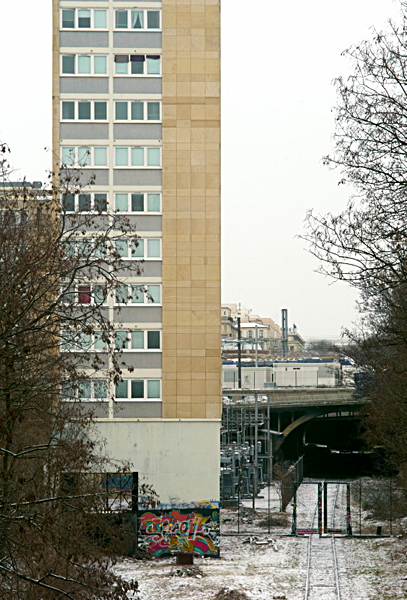 Das Wiener Auktionshaus WestLicht versteigert zweimal im Jahr Kameras, bei denen zuletzt historische Leicas zu Millionenpreisen weggingen. 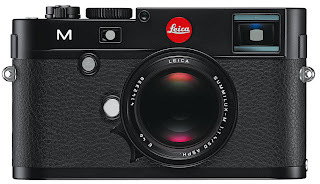 Der neueste Vertreter der M-Serie heißt einfach Leica M. Das im März erscheinende Modell bietet erstmals eine Live-Vorschau auf dem Display und filmt in Full-HD (beides kann die Konkurrenz seit Jahren). Den speziell entwickelten Sensor (24 Megapixel) baut die belgische Firma Cmosis. In einem kurzen FOCUS-Test eines Vorserienmodells lieferte die M eine hervorragende Bildqualität. Preis: 6200 Euro (ohne Objektiv). 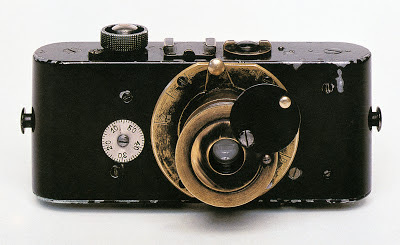 Vor 100 Jahren entwickelte Oskar Barnack diesen Prototyp – die Ur-Leica. Es war die erste Kleinbildkamera der Welt. Bis dahin mussten Fotografen große, unhandliche Apparate mit Platten oder Rollfilm transportieren. These cameras go back almost to the very first days when the Leica reached the photographic camera market. Oskar Barnack, ever looking for improvement, was the first to try different approaches and variations of his initial creations. Another one of Barnack’s experimental cameras, also made in the 1930s is a panorama camera. 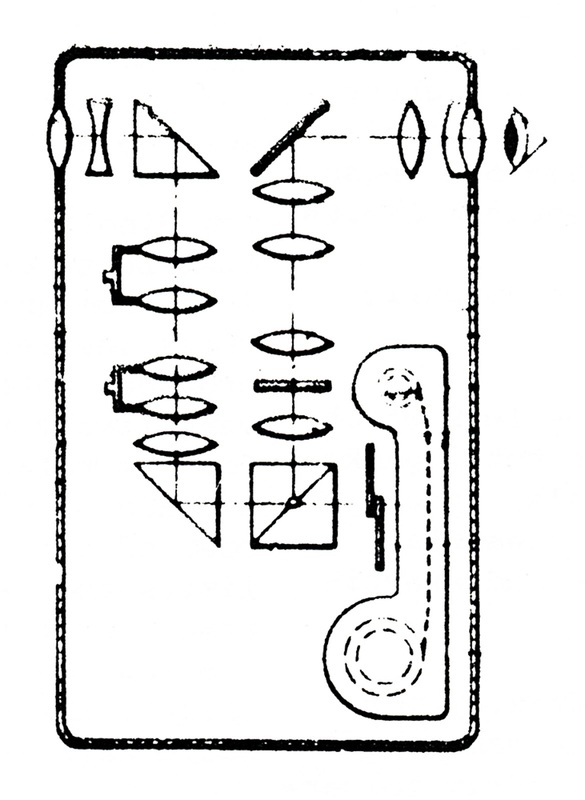 The lens was connected to the camera with a bellows and a clockwork mechanism allowed the camera to pivot about its axis. At approximately the same time, an experimental body was designed with a two-lens turret which allowed two lenses to be mounted simultaneously and to be easily switched from one to the other by simply turning the turret. These are only a few experimental cameras that we know of, a lot more has and is going on at Leitz/Leica that we don’t know about. But it is a fascinating insight into the history Leica. I am now looking forward to visiting Solms during my trip to Germany in a few months. 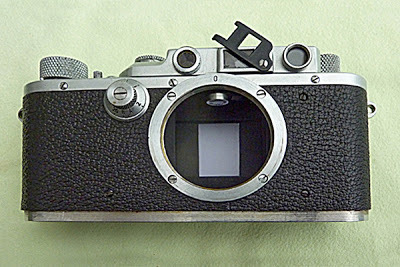 Maybe I luck out and find an interesting piece of Leica lore that I don’t know about yet. Either way, I will report on it on these pages. Stay tuned. Toward the end of this training program he was even assigned the task of some design work. While little is known what all this entailed, we do, however, have one example that was presented for years on the Leica screw mount cameras. 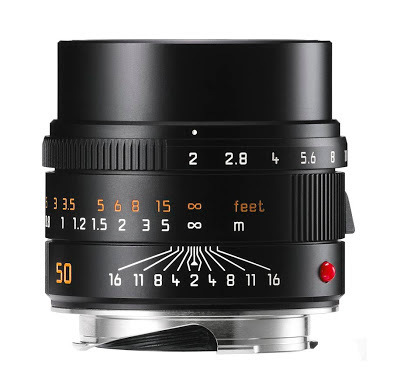 Leica Dealers report that the new Leica APO-Summicron-M 50mm f/2 ASPH is now becoming available in limited quantities. 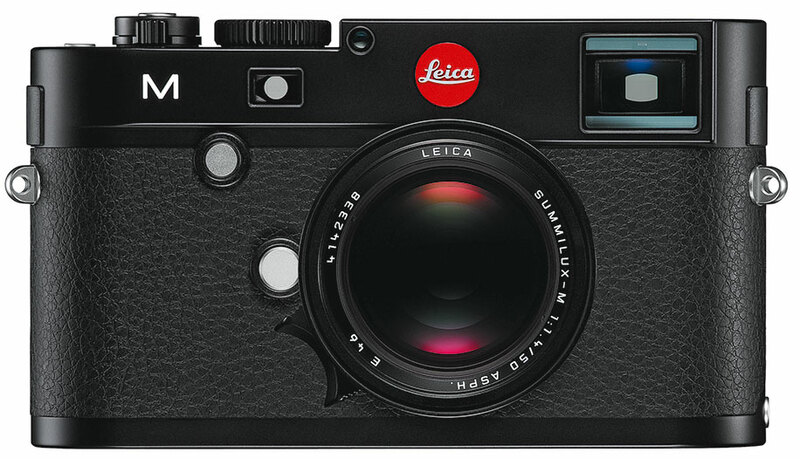 The lens was originally announced at the Leica May 10, 2012 event in Germany. It was initially delayed due to rather complex production requirements. 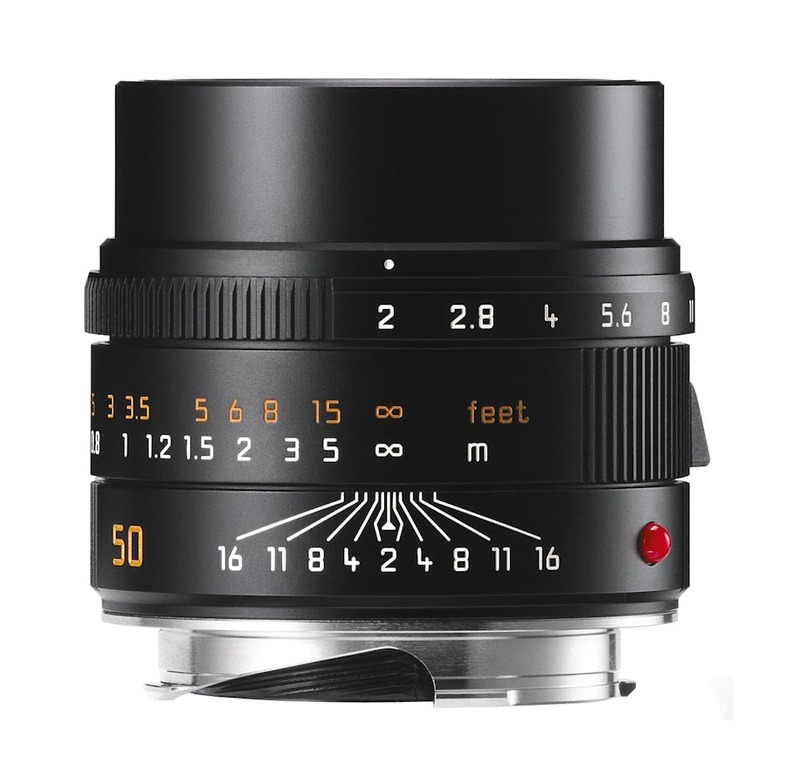 According to Leica, “the new Leica APO-Summicron-M 50 mm f/2 ASPH. lens is yet more clear proof of Leica's leading role in optical excellence. With this new lens, Leica engineers have successfully expanded the limits of the technically possible to set new standards in imaging performance. It is the first lens ever to fully exploit the capabilities of modern high-resolution camera systems without any compromises. This lens is a new milestone in the history of optical design that achieves previously unattainable values in all technical performance characteristics. 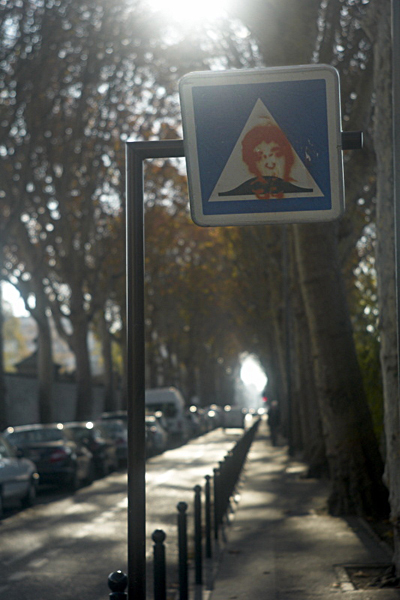 For instance, there is practically no fall-off at the edges - even at full aperture - in the MTF curves for image sharpness. Even the finest details are rendered with more than 50% contrast - a previously unheard of value that confirms the exceptional properties of this lens.